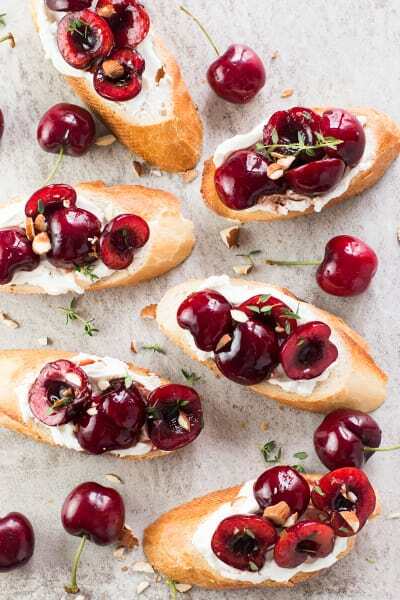 Cherry goat cheese crostini with thyme and almonds is an excellent party appetizer. 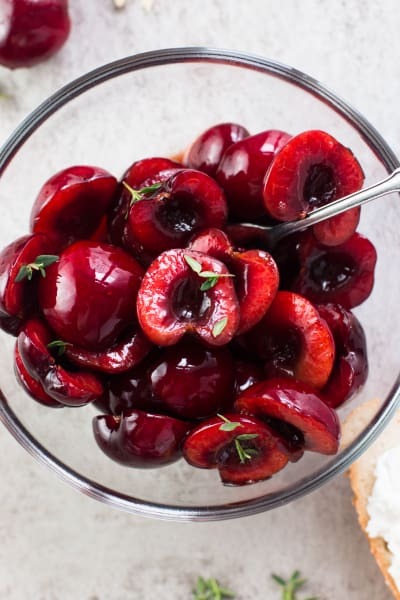 This oh-so-elegant dish is secretly simple to prepare! I see all those beautiful platters, appetizers and drinks popping up left and right and I’m just here thinking — but I don’t even have any friends! You know, occasionally. The handful of people who aren’t sick of us talking about our kid yet. And when we do, we like to pull all the easy plugs. Easy, but misleadingly impressive. Because how are you going to relax during your grab-a-bite fancy soirée if you’ve been so stressed with all the cooking beforehand, and just want to pass out in front of the TV? I used to be so terribly stressed whenever I invited people over for food. 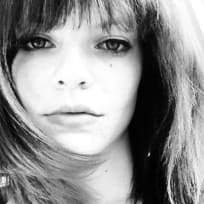 In between all the coordinated decor, elaborate recipes and, you know, having to look presentable — it was usually a well-planned mental disaster. Oh, the stress. The “Am I going to open the door in my yoga pants?” moments. 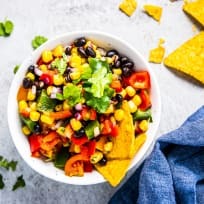 The “Why didn’t I just settle for chips and salsa?” regrets. No, friends. Vow right here and right now to never stress yourself with dinner parties or cocktail hours again. Having a toddler helps with sticking to said vow, but it’s certainly not required. Now I’m not saying to never try time-consuming recipes again. I’m just saying — tone it down. 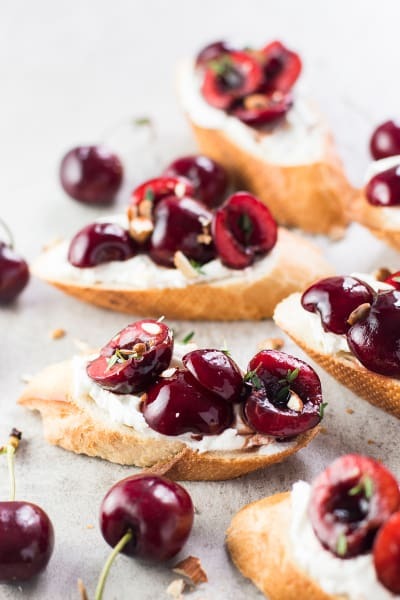 And nobody is going to complain about simple crostini if they’re stunning enough — and absolutely tasty. Speaking of simple crostini, the recipe I’m sharing today really couldn’t be any less fussy if I tried. Pile on the good stuff. A smear of fresh goat cheese, a few marinated cherries, thyme and chopped almonds - done. 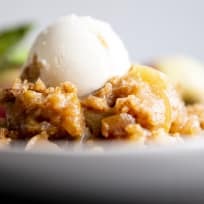 Now the really beautiful thing about this recipe is that you don’t have to wait for company to make them. You don’t even have to wait for appetizer time, happy hour on any other kind of strange thing that might keep you from biting into some pure joy. 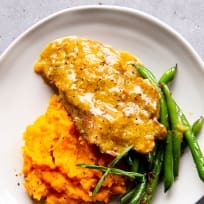 This recipe is so scale-able, I’ve been known to make it for just myself before. 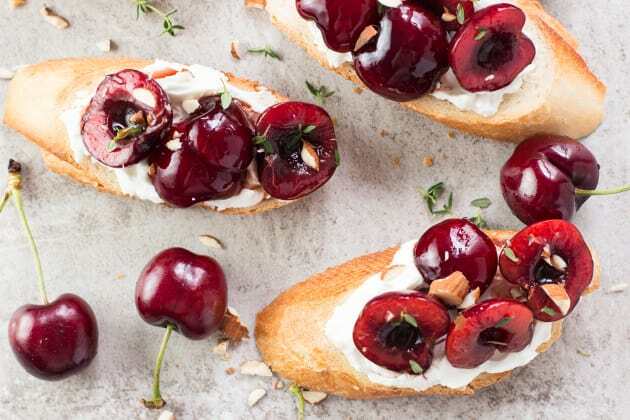 And whenever we don’t feel like cooking on hot summer evenings, we throw together a big salad and enjoy these Cherry Goat Cheese Crostini alongside for dinner. 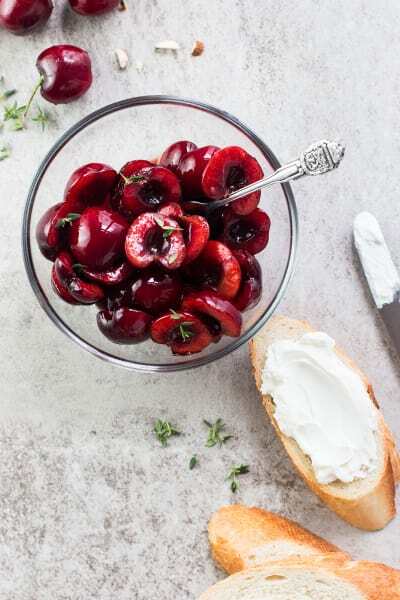 Combine the prepared cherries with the balsamic vinegar, honey and 1 tablespoon fresh thyme leaves in a medium bowl. Stir well, cover and refrigerate for at least 1 hour and up to overnight. When ready to serve, cut the baguette into 12 slices. Toast each slice until crispy and lightly browned. 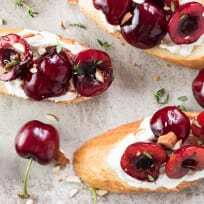 Spread the goat cheese over the toasted bread and top with a few drained cherries (save the liquid!). Sprinkle with chopped almonds and extra thyme leaves, then drizzle with a little of the marinade. Serve immediately with the remaining marinade for bread-dipping. 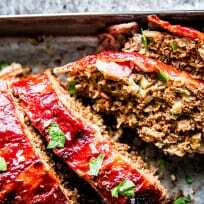 Nora loves to create fresh and easy family meals on her site, Savory Nothings. We're excited to have her as our Farm to Table fanatic. Things are about to get delicious!